Dr Harrison has an array of cardiac services in the clinic including echocardiography, rhythm event monitoring, pacemaker/defibrillator checks, treatment of heart failure, coronary disease, and rhythm abnormalities. Dr. Harrison performs emergency stents during heart attack, placement of the Impella (left ventricular assist device), and in hospital treatment of most all cardiac abnormalities. The coronary arteries sit on top of the heart muscle supplying blood to it. A heart attack is caused by a blockage in one of these small vessels. 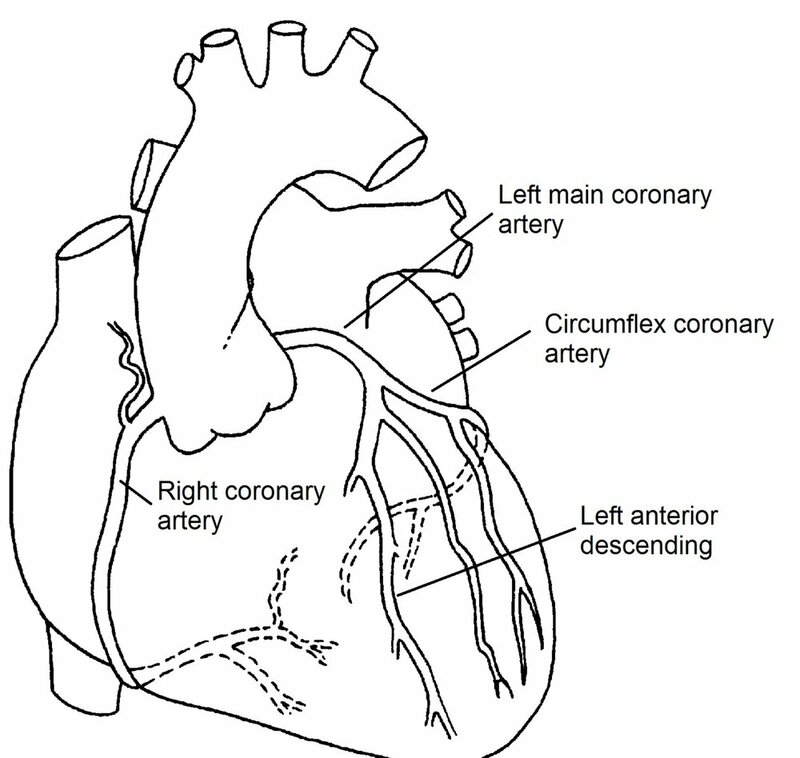 This coronary artery is the LAD which is the main artery and has severe blockage as outlined in red. 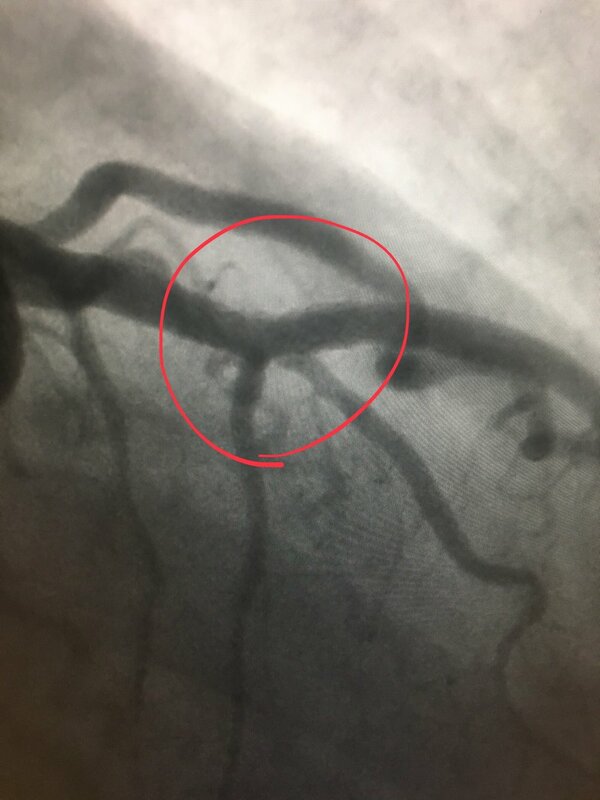 This angiogram shows the artery after balloon angioplasty and stenting performed. The blockage is gone and the stent is placed holding the artery open. This is done in the hospital using a small sheath placed into the wrist artery and threaded up to the heart. Conrast is injected into the arteries to outline them and then stenting is performed. Our clinic has full echo/vascular lab with 2 registered echo technologists to perform ultrasound of the heart and a registered vascular technologist to image most of the arteries and veins of the body.